A jigsaw puzzle hobby is more common these days. Follow the links below or the menu above to assist with your questions or queries.....enjoy and happy puzzling! There's about 150 pages in this site so you may want to bookmark it now. Generally speaking there is anything and/or everything jigsaw puzzle related here. However, I also encourage you to share your comments and feedback to add your 'piece'. CLICK HERE to contact me. Also, chances are pretty good you are going to discover new ideas, loads of information and some really fantastic photos from others who already have a jigsaw puzzle hobby. There's a load of topics to be covered here and so there will be continuous "What's New" on the site. 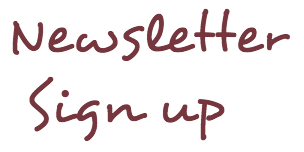 Be sure to come back often or better yet subscribe to the Newsletter so you do not miss out on any surprises! Trust in the puzzle dust!